The 2019 Engineering Impact Awards is now closed for submissions. Thank you to all submitters who have shared their inspiring successes from around the world. We now look forward to celebrating the best submissions at the open ceremony on Wednesday, May 22. We hope to see you there! 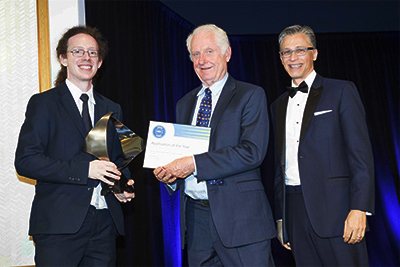 The Engineering Impact Awards is NI’s annual contest in which engineers, scientists, and researchers from around the world submit their most extraordinary applications created using the full force of the NI platform. 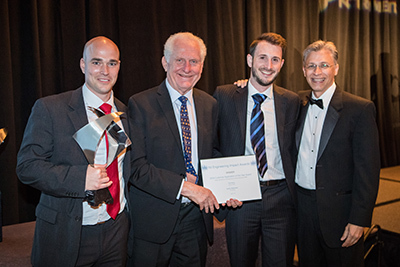 The contest culminates in a celebration of the year’s top applications where we honor the finalists and announce the winners, and for the first time ever, the awards ceremony is open to all NIWeek attendees! Join us following the closing keynote on Wednesday, May 22, for drinks and hors d’oeuvres, and prepare to be inspired! Using the NI platform to maximize your business, revolutionize an industry, or help shape the future? This is an exciting opportunity to view remarkable, game changing work within the field. 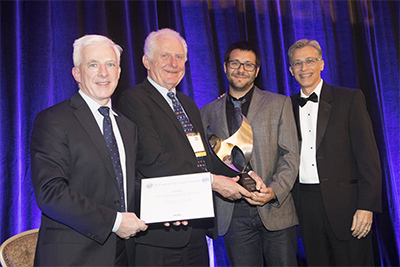 To commemorate the 25th anniversary of NIWeek, we will present the NI Generation Award to celebrate the career-spanning accomplishments of an individual who has made a lasting impact not only in their workplace, but also throughout their industry, leading with a spirit of innovation and discovery. Calling all undergraduate engineers! Tell us how you’ve used the NI platform to power your innovative projects for a chance to win industry awards, international exposure, and a trip to Austin, Texas. Enter the Student Design Showcase now. Legal | Privacy © National Instruments. All rights reserved.